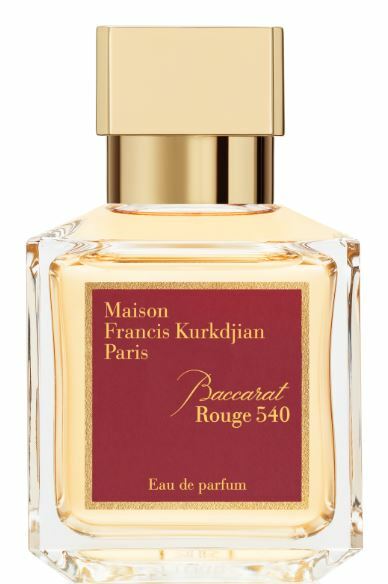 A collaboration between the two sensory masters Maison Baccarat and Maison Francis Kurkdjian, Baccarat Rouge 540 stunned the olfactory universe with its powerful radiance when it launched with only 250 numbered crystal bottles. Its name evokes a metamorphosis of clear crystal mingled with 24-carat gold and brought to fusion at 540 degrees, glowing an iconic scarlet red. 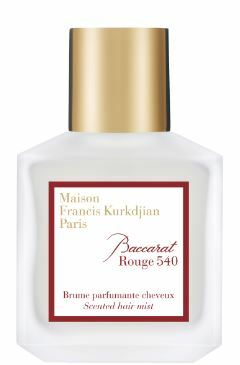 Baccarat Rouge 540 now has a precious new setting – the Maison Francis Kurkdjian signature bottle – and is also available as a scented body cream, body oil and hair mist. Baccarat Rouge 540 came into being with an outpouring of expertise, an influx of minerals, and a breath of fire. The luminous and intense fragrance lies on the skin like a sensual veil with woody and amber floral top notes. Ethereal facets of jasmine and the radiance of saffron carry ambergris mineral notes, grounded in woody base tones of freshly cut cedar and fir balsam. Baccarat Rouge 540’s beautiful new form, Extrait de Parfum, intensifies the power and radiance of the Eau de Parfum. The original scent is preserved but enhanced with top notes of Egyptian jasmine, the powdery facets of bitter almond from Morocco, and ambergris with a woody musk accord. For the first time, the scent dons a dazzling red garment echoing the signature Baccarat red. Experience the sensuality of Baccarat Rouge 540 like a second skin, with its deeply nourishing scented skin cream. Your body will feel beautifully soft and will smell divine from tip to toe. Aerial notes of jasmine and the radiance of saffron carry mineral facets of ambergris amid woody tones of a freshly cut cedar wood. 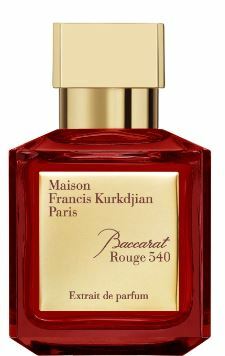 Expanding its gently seductive power, Baccarat Rouge 540 now brings a flowery, ambery and woody whisper to the skin and hair. This olfactory adaptation in two new formats remains true to Francis Kurkdjian’s original score: jasmine, saffron, ambergris accord, and a cedar and fir balsam accord, which unfold in a delicious and delicate fragrance. 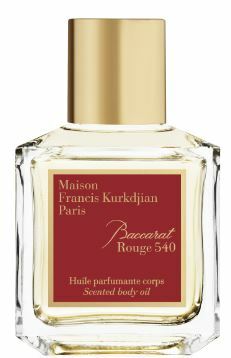 Apply Baccarat Rouge 540 scented oil to leave the skin fragrant and satiny. Featuring a light texture, it blends three oils selected for their natural properties: energising and antioxidant-rich argan oil, softening and regenerating sweet almond oil, and radiance-boosting apricot kernel oil. 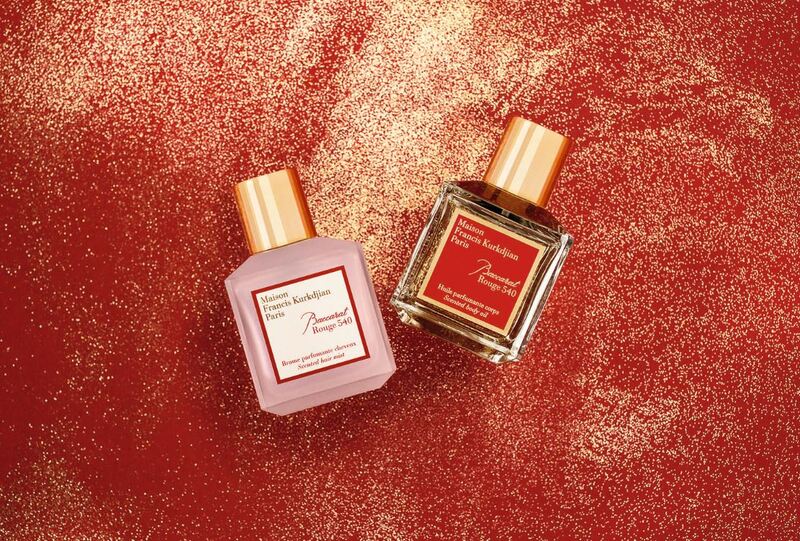 Showering the tresses with a feather-light cloud of fragrance, Baccarat Rouge 540 mist perfumes the hair with its addictive aroma and airy, mineral nuances. As it moves, the hair releases a sillage, magnifying your natural power of attraction.